« Always Make Time for Art…. 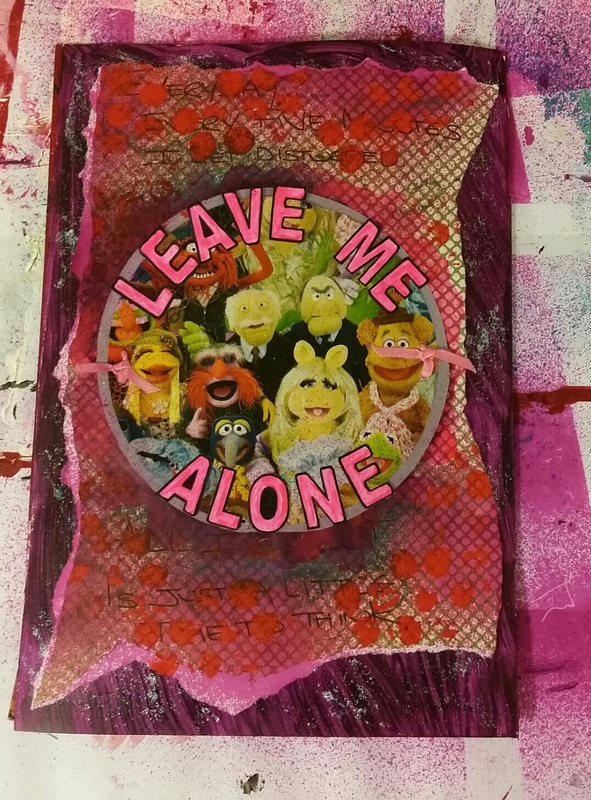 There is a little more to that sentiment to: “Leave me alone….I wanna go home.” With the muppets singing “Leave me alone.” this piece avoids putting people off. It’s cute but gets the point across. Or are the muppets the people distracting you? I’ll be back. Sometimes on an erratic basis but I’ll be back! Lol. Ok great thank you. Do you have a blog? Yes, you’ve subscribed to it and thanks. “The Enchanted Dress Shop”. I’ve got others, too. You can click the ABOUT link to find the rest. My interests are all over the place so each one goes to a different blog.